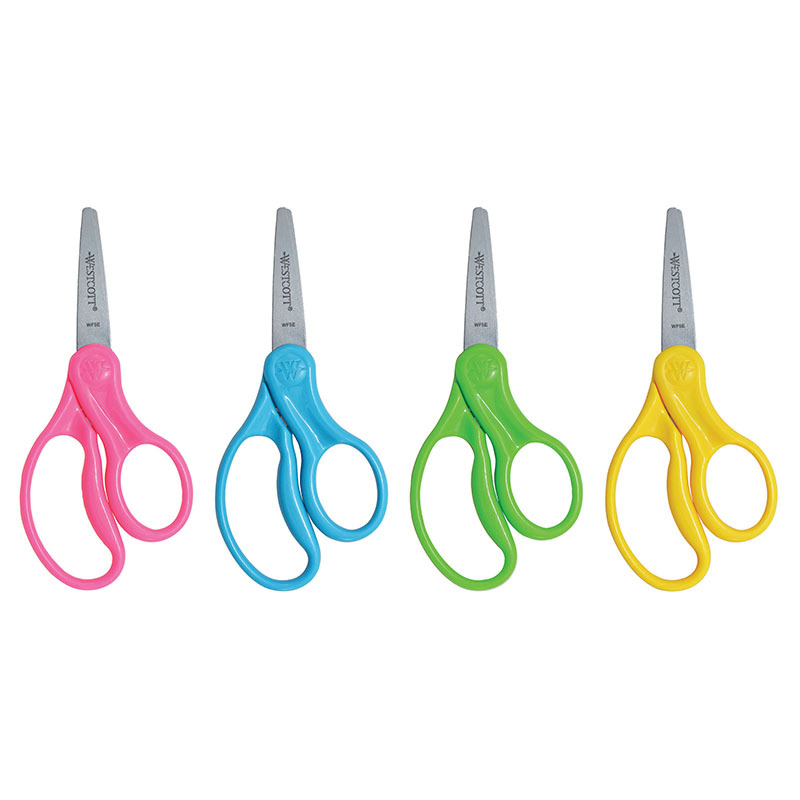 Westcott School Left and Right Handed Kids Scissors especially designed for a child's hand. Extra strong and durable stainless steel safety blades. Molded, symmetrical handles allow for either left- or right-handed use. Easily cut through paper, fabric, string and other craft materials. Available in assorted colors (color can't be specified when ordered). Limited 10-year warranty.